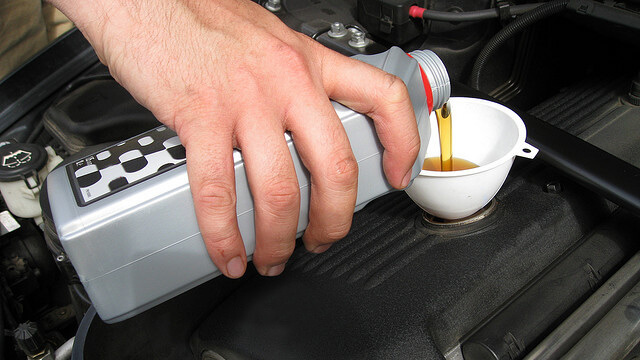 Oil changes are one of the single most important general maintenance items for your vehicle. New motor oil and a new filter help to keep your engine components properly lubricated. At John’s Auto Care Center in Meridian, ID, we offer a comprehensive oil change service that includes a complimentary vehicle inspection to ensure that all vital components are in top working condition. We offer same day service for most days and will get you in and out of the shop quickly. The job of clean motor oil is to circulate throughout the engine and act as a lubricant to coat engine components. This lubrication helps protect your engine from excessive amounts of heat, which can cause overheating and damage without protection. As the lubricant is moved through the engine, it picks up dirt and debris and filters it back through the oil filter, which also helps prevent the buildup of grime on parts. When you continue to drive your vehicle on low or dirty oil, you risk having your engine overheat and expensive damage occurring to vital components. That’s why it’s so important to pay attention to the number of miles you’ve driven since your last oil change and to stay on top of your vehicle’s regular oil changes. Our Meridian Auto Repair shop will also check and top off other important fluids, such as the windshield wiper fluid, antifreeze, transmission fluid, and power steering fluid. John’s Auto Care Center in Meridian, ID, is a full-service automotive facility dedicated to providing our community with quality repairs and excellent customer service. Our shop offers an outstanding 3 year/36,000 mile warranty on our repairs. We also offer nearly-free loaner vehicles (you just pay for gas), a free shuttle service, affordable financing options, and a comfortable waiting area. Our family owned and operated Meridian auto repair shop also offers same day service and we promise that our work will be done correctly the first time around. With over 23 years in the automotive business, you can trust that our highly experienced staff will handle your vehicle with care. If it’s time for your car to get an oil change, don’t hesitate to give us a call. We look forwarding to meeting you soon!